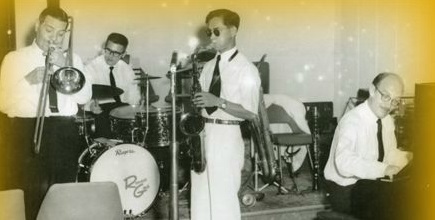 KEEN on music from a young age, His Majesty King Bhumibol Adulyadej later composed several songs which led to international recognition of his talent. In matters of music, His Majesty had shown a natural aptitude for it since his early childhood. During his stay in Lausanne as the royal younger brother, he took up various musical instruments and studied music seriously under a man named Weybrecht, a native of Alsace. In the early stages of his music education, the King rehearsed and learned by notation and concentrated on classical music exclusively for about two years. In so doing, he opted for the wind instruments, particularly the saxophone and clarinet. Afterwards, he switched over to playing jazz music, which gave him more freedom at improvising, as befitting his preference for fast, exciting jazz beats. The King spent his time practicing jazz by himself. He would play his sax along with the phonograph records of famous jazz bands. Once he had acquired greater confidence and facility with the playing, he would jam it up with the jazz recordings. In many ways then, his “teachers” were really famous jazz musicians, in the form of his favorite records. They included Sidney Bechet, a celebrated soprano saxophonist, and Johnny Hodges, an alto saxophone master. Undoubtedly, three factors explained his eventual mastery of the soprano saxophone: his interest in the music, long hours of practice, and a natural talent for music. He then went on to play other woodwinds, for example, tenor saxophone, baritone saxophone, and clarinet, as well as the trumpet, and excelled at them all. The woodwinds were truly his forte. Like all musicians of note, this self-taught king of music eventually gained mastery of his art through hard work and perseverance, driven by a passionate love of music. His Majesty began to compose songs in earnest when he turned 18 years old, and the person who both encouraged him and became his inspiration was none other than his royal brother King Ananda Mahidol. In April 1946, King Bhumibol Adulyadej composed his first-ever song, a blues, under the title of “Candlelight Blues.” But he had yet to go public with it, feeling that he still needed to polish the tune for better effect. 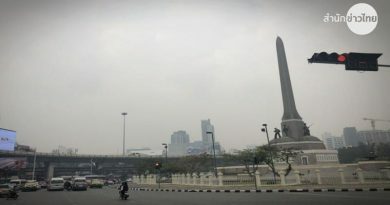 As a result, the first royal song released to the Thai public was “Love at Sundown,” the second number he composed in the same month as the first. 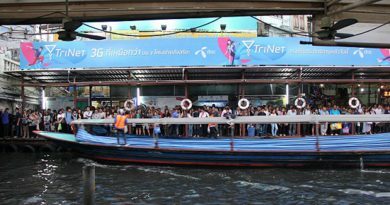 He next came up with the third number, called “Falling Rain,” a sweet waltz which, since its release, has been most popular with Thai listeners and still is today. The fourth and final number he composed during his pre-accession days as the king’s younger brother was titled “Near Dawn”. His Majesty has always been generous with his permission to have his music played for the enjoyment of Thai people on numerous occasions. “Love at Sundown” was featured in a fund-raising concert for the Anti-Tuberculosis Society of Thailand, “Falling Rain” was played to entertain the crowd at the gathering of the Chicken Breeders Association of Thailand, and “Smiles” was written to help boost the morale of members of the School for the Blind. He also wrote military marches and patriotic anthems, for example, “Rao Su” (“We Shall Fight”) and “Kwamfan An Sungsud” (“The Noblest Dream”), to fire up the people’s patriotic sentiments. Other compositions include alma maters and New Year songs to offer best wishes and luck to his subjects on the festive occasion. It is obvious that His Majesty uses music as a bridge to build communication, relations, and friendship. To him, the language of music is like a bridge between him and his subjects, a dialog between him and local Thai and overseas musicians, and a diplomatic language between Thailand and the international community around the world. During the 1959 official visit to Thailand of H.R.H. Princess Alexandra of Kent, from the United Kingdom, His Majesty wrote a song under the title of “Alexandra” in her honor. As a welcome gesture, the song was promptly performed before a distinguished audience of the visiting entourage at an official banquet. The touching performance amidst a warm and cordial reception left a lasting impression on the royal guest. During his 1960 state visit to the United States of America, His Majesty encountered many an opportunity to stamp his musical virtuosity diplomatically. At a welcome dinner reception held in his honor by the governor of Hawaii at Washington Place in Honolulu, His Majesty, after “insistent prodding” by the host and a gathering of musicians and guests, stepped up to play two numbers on the clarinet along with the band, Kenny Alford and His Dixie Cats, to applause from the audience. In New York, he had great fun on the saxophone when he jammed with Benny Goodman on the clarinet, a renowned jazz king and band leader, and other renowned jazz musicians, including Jack Teagarden, the trombonist, Lionel Hampton, the vibraphone player, and Stan Getz, the tenor saxophonist. In 1964, on a state visit to the Republic of Austria, the Tonkünstler-Orchester Niederösterreich honored His Majesty by playing several of his songs at the Concert Hall in Vienna. On this occasion, Austria’s leading conservatoire, the Hochschule für Musik und Darstellende Künst (Academy for Music and Performing Arts) in Wien presented His Majesty with the Certificate of Bestowal of Honorary Membership. In commemoration of His Majesty’s honorary membership in the institute, the 23rd person so honored, the royal cypher was inscribed on the stone plaque at the institute along with other renowned honorary members, making him the first Asian ever to receive such an honor. Internationally, His Majesty’s compositions have been featured by world-class orchestras at concerts on various important occasions, such as the Madrid Classical Orchestra of Spain, NHK Band of Japan, and Broadway theaters in the United States. That the royal compositions have won widespread acceptance and appreciation in international circles is due in no small measure to His Majesty’s innate talent and passion for music. The world is aware of His Majesty’s contributions and duly accords him recognition and honor as a musical monarch.